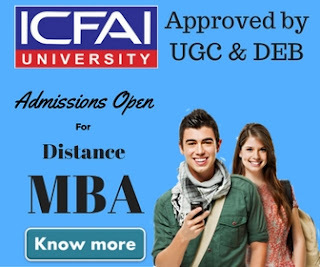 Getting enrolled in Distance Learning MBA program in Symbiosis Pune is very easy. Nowadays, We're receiving many emails from students asking how to get admission in Symbiosis distance learning MBA (PGDBM) programme. This post will take you through the entire admission process of SCDL MBA (PGDBM). Follow these steps to get admission in Symbiosis distance learning MBA program. An application form can be purchased after paying an amount of Rs.1500 from SCDL Campus, SCDL Associates, Selected HDFC Banks. Students can also purchase the same online from SCDL official website. Facility to buy an application form via post is not available. After filling out the application form, students are required to submit it to SCDL for registration purpose. Students can send their application forms by hand or by registered post or by courier. The following documents need to be sent along with the duly filled application form. The fee can be paid in full or in installments. You can submit the fees via Demand Draft in favor of 'The Director, SCDL Pune' payable at Pune. Students can also pay the fee online through payment gateway facility available on SCDL website. 1. When the MBA program will start this year? Each year the program begins in the month of July/August. 2. What is the Eligibility Criteria ? 3. What is the cost for an application form for International students? International Students can purchase the application form online for USD $ 100 or equivalent Rs 6900/-. 4. Can a students apply for admission If degree certificates are pending? yes, you can apply but you have to submit the documents before the date provide by the institution. 5. When you'll get the Study Material? study material will be dispatched to your place as soon you'll pay the fee or first installment. 6. What learning methods Symbiosis use? Symbiosis Center for Distance Learning has a blended approach to student learning with a combination of - traditional books, e-learning, pre-recorded DVD lectures and faculty interaction. 7. Is Symbiosis a recognized institution for distance MBA. 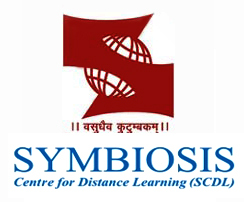 Yes, Symbiosis is recognized by Distance Education Council of India (DEC). 8. Does Symbiosis provides a PG diploma OR a MBA Degree? Symbiosis is an autonomous institution thus provides a PG diploma. 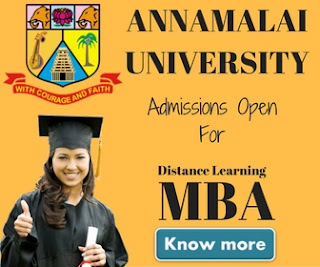 MBA Degree is awarded by a University or an institute affiliated to the University. 9. What is the current ranking of SCDL? Recently SCDL has been ranked as 2nd best Institution for distance PGDBA by DNA Indus Learning Survey. You can also check other ranking of Symbiosis here. 10. Are the Post Graduate programmes at par with the MBA programme? Yes, the curriculum of the Post Graduate programme is at par with the MBA programme. The industry accepts the programmes at par with an MBA.